During the hot summer season, you will find the silky flawless festive chiffon has been launched by Iznik and it gives the sense of soothing breeze and it gets the attention of all women across the country. The fashionable women and girls want to stand out from the trend setting prints, which the fashion brand, Iznik is offering. 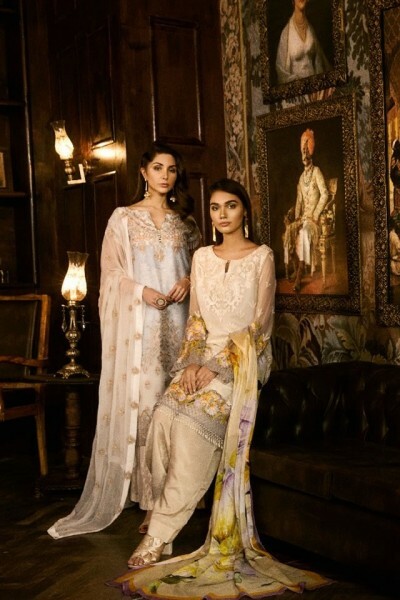 The festive chiffon has been launched on 6 August 2018, which is the worth attending event. Iznik is well known as it is the popular ethnic wear brand and the high ranked style is merged with the silky threads and it is prepared with the alluring fabric. This collection is exclusive with the range of pure silk luxury with hot trending embellishments. It gives the detailed look at the highly embellished, distinctive and silk and chiffon fabric, which is added with festive chiffon eid collection of Iznik 2018 and we can appreciate the quality of the dresses. There is tough competition among the women to look elegant and stunning and they should be different and distinguished from other women. They look for the leading and unique brand that offers the stupendous fusion of colors and prints and all the women can attain silky and classy series of the dresses in your wardrobe and they make everyone mesmerized due to their wonderful and elegant transformation.